Memories make nations endure. This theme seems to reverberate throughout Mr. Shinzo Hayase’s journey in Southeast Asia as he explored countless memorials for World War II in an effort to enlighten the Japanese youth on the atrocities of an infamous war. 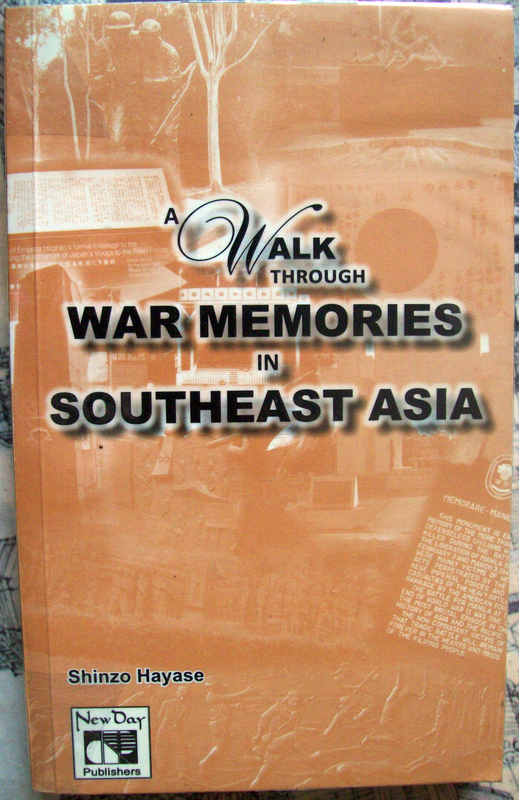 ‘A Walk Through War Memories in Southeast Asia’ (New Day Publishers, Quezon City, 2010) is literally a walk through as the author takes the reader country by country to memories of the war, immortalized by museums and memorials set up in locations where the fiercest passions to fulfill the call of duty met the turbulent desire to fulfill the call of destiny. It is also an analysis on how nations endure by valuing the memories of the past as these memories echo in the present and reflect the necessary steps to undertake in the future. Devoid of memory, the book suggests, a nation cannot face its bright future as it is haunted by the shadows of its past. It is only in viewing an issue in different vantage points that a person can gain a carefully crafted opinion about it. The Japanese perspective on waging war is as important as the victims’ perspective on hating the perpetrators of war. Ignorance of any of these will result in an unhealthy study of the history of World War II in Asia as the thinker’s biases traps him in drawing fallacious conclusions. Hayase contributes to solving this bias problem as he presents the carnages of war in a detached, scholarly and unbiased point of view. 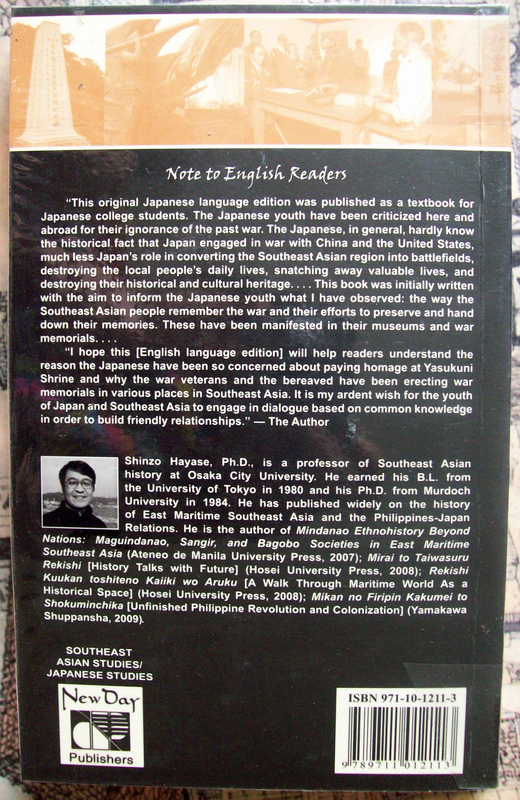 Armed with nothing but the desire to educate the Japanese youth, the author used the museums and memorials in various Southeast Asian countries as metaphors for the attitude of a people’s attitude on this war. The preservation or neglect of any of the museums and memorials speaks for a people’s thoughts on the event in commemorates. Some countries preserve and continue to build their memorials while others refuse to build a simple marker to indicate that some historical event happened in that place sometime in the past. This is not surprising as some countries forgive and forget while some countries forgive but do not forget. Still, some countries cannot forgive for it chose to forget. In any case, Hayase seems to reiterate that memorials and museums are important for it is only through them that the participants of that historical event gather to commemorate what happened. Commemoration builds and strengthens the memory that is vital in interacting with those who might have been victims in the past. As Japan continues to build these memorials overseas, it hopes to rebuild relations with them. Japan does not wish for rejection, rather it hopes that as it continues to erect these vestiges of the past, it would be easier for the Japanese youth to understand the hatred of other nations to them. It hopes that with the continuous strengthening of memory is the shift of outlook among the victim nations so that the past may not be a hindrance to future peaceful relations. Bataanhas fallen. The Philippine-American troops on this war-ravaged and blood-stained peninsula have laid down their arms. With heads bloody but unbowed, they have yielded to the superior force and numbers of the enemy. The world will long remember the epic struggle that the Filipino and American soldiers put up in the jungle fastnesses and along the rugged coasts ofBataan. They have stood up uncomplaining under the constant and grueling fire of the enemy for more than three months. Besieged on land, and blockaded by the sea, cut-off from all sources of help in thePhilippinesandAmerica, these intrepid fighters have done all that human endurance should bear. For what sustains them through the months of incessant battle was a force more than physical. It was the force of an unconquerable faith—something in the heart and soul that physical adversity and hardship could not destroy. It was the thought of native land and all that it holds most dear, the thought of freedom and dignity and pride in those most priceless of all our human prerogatives. Our men fought a brave and bitterly contested struggle. All the world will testify to the almost superhuman endurance with which they stood up until the last, in the face of overwhelming odds. The decision had to come. Men fighting under the banner of an unshakable faith are made of something more than flesh, but they are not impervious to steel. The flesh must yield at last, endurance melts away, and the end of the battle must come. We, too, shall rise. 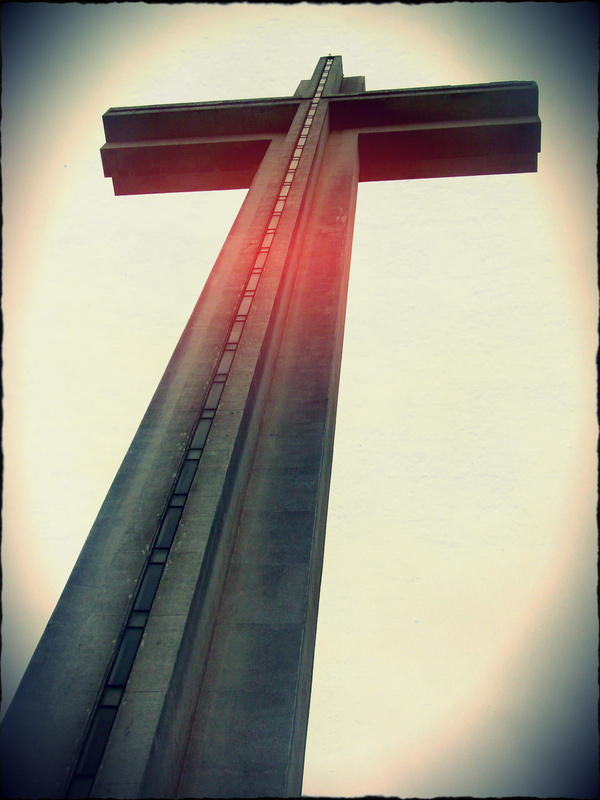 After we have paid the full price of our redemption, we shall return to show the scars of sacrifices that all may touch and believe. When the trumpets sound the hour we shall roll aside the stone before the tomb and the tyrant guards shall scatter in confusion. No wall of stone shall then be strong enough to contain us, no human force shall suffice to hold us in subjection, we shall rise in the name of freedom and the East shall be alight with the glory of our liberation. Until then, people of the Philippines, Be not afraid. Quezon, Manuel III, ed. 20 Speeches That Moved A Nation. Mandaluyong City: Anvil Publishing, Inc, 2002.